Abbott’s Freestye Libre Pro – Continuous Glucose Monitor – CGM « Adafruit Industries – Makers, hackers, artists, designers and engineers! 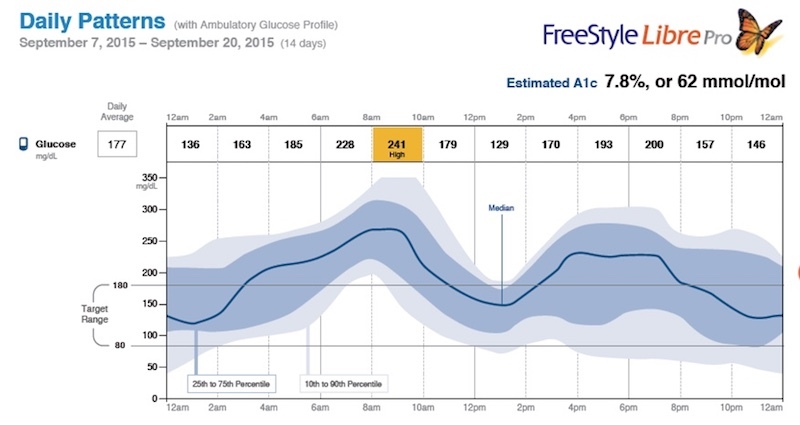 In September of 2016 the FDA approved the Abbott Freestyle Libre Pro for US consumption. 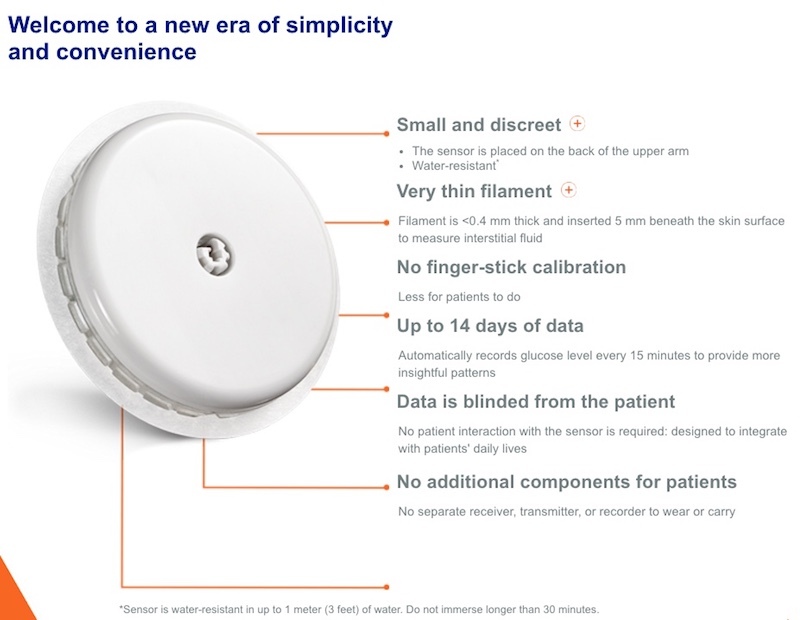 This device is geared towards diabetics providing glucose data every 15 minutes for up to two weeks at a time. There is a touch screen display receiving device and a wearable sub-dermal sensor. The user installs their own sensor under on the underside of the bicep. The sensor is waterproof for up to 30 minutes and units have historically cost about $300 which includes one consumable sensor. 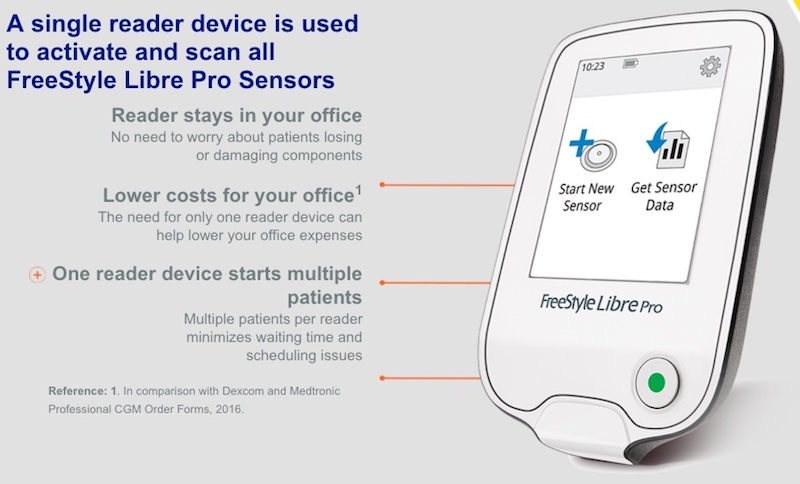 The Freestyle Libre (non-pro) version had been sold internationally since early 2015. Biohackers looking to optimize their diets and exercise protocols were picking up units on international sites. It quickly gained popularity for it’s reliability and price point. There is a free Windows/Mac App for uploading the data from the receiving unit. Other health companies had been selling CGMs in the US, but at cost of thousands of dollars. Dexcom with their new G5 Mobile CGM is staying competitive.